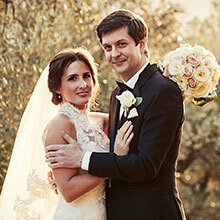 Experienced wedding planner Daniela Haltmayer helps you find the ideal wedding villa or castle. You’ve chosen to declare your love in front of your friends, your family and the whole world. One thing is certain – this is going to be one of the most important days of your life. You’ve chosen to declare your love in front of your friends, your family and the whole world. One thing is certain – this is going to be one of the most important days of your life. A day to rival all others. And you can count on my tireless dedication to help make your wedding a fairytale come true. 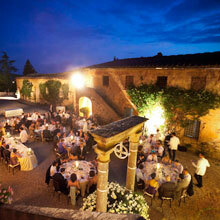 You will reap the benefits of my many years of experience as a wedding planner in Italy. This includes my first-rate organizational skills, my ability to listen to you to fully understand your expectations and desires, and my wealth of ideas. Tuscany is one of the most beautiful places in the world to tie the knot – and I will tell you all about what it has to offer. 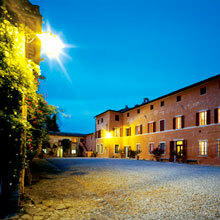 What are the most romantic wedding venues in Tuscany? A villa in Siena or Florence? Or perhaps a castle wedding? I will share with you my insider tips and the knowledge only the locals would have. I speak the local language - Italian. And I work on location. Allow me to guide you every step of the way, from planning and organizing your perfect Tuscan wedding, to dealing with Italian authorities and other formalities, to your big day. I´ll be there to take care of everything - right down to the smallest detail. I will cater to your individual wishes. You can depend on me to take the time to get to know you, to be open-minded to your ideas, to be creative in all I do, and to go the extra mile to meet your needs. 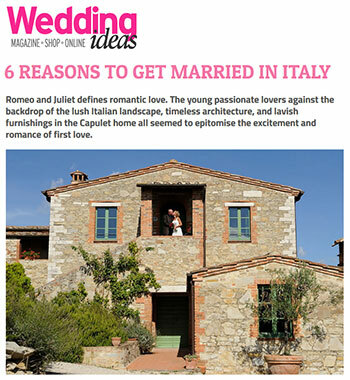 Read my article "6 reasons to get married in Italy" published online by Wedding Ideas Mag. Read my article "Bella Tuscany, the ultimate destination wedding" published online by you&your wedding mag. Our wedding was a wonderful event, and we realize that this has happened due to your assistance. We will never forget it! You had a major role on our big day: with your professional and positive attitude you have guaranteed us a day without any stress which we enjoyed during any moment! Wedding Planner in Tuscany - With my help, you and your loved ones can sit back and enjoy your special day, with not a care in the world. Art and culture workshops in Tuscany including watercolor, oil painting and clay sculpture as well as Italian cooking classes and Italian language courses. Elegant Villa with Italian Garden, Lemon trees in terracotta, panoramic views; for medium-large wedding groups for your dream wedding in Italy.